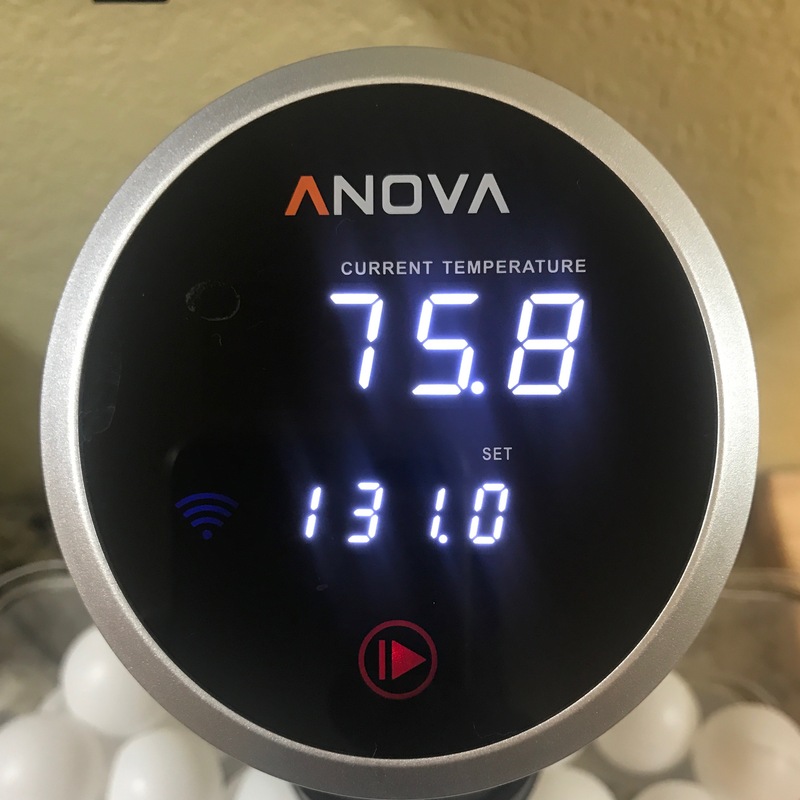 Sous vide BBQ is one of my new favorite things. 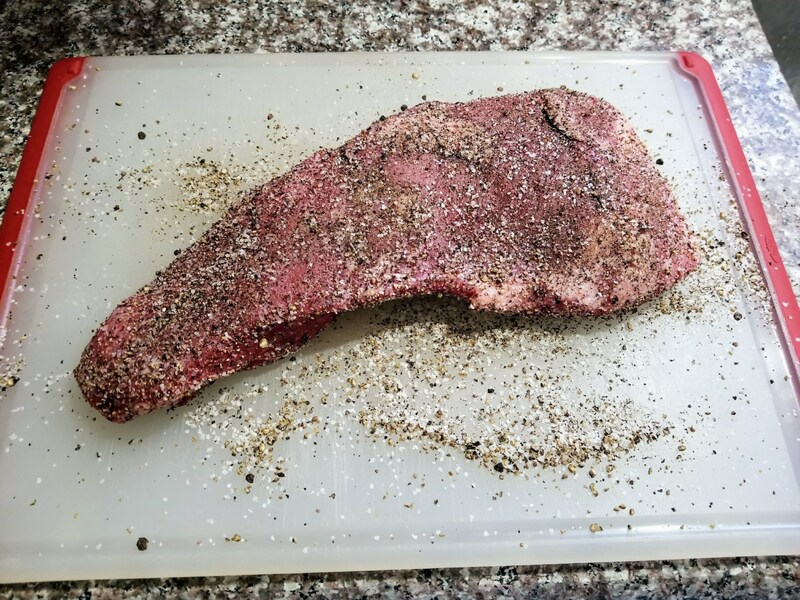 I thought I would try something I couldn’t find on the internet and smoke some tri-tip after taking a sous vide bath. 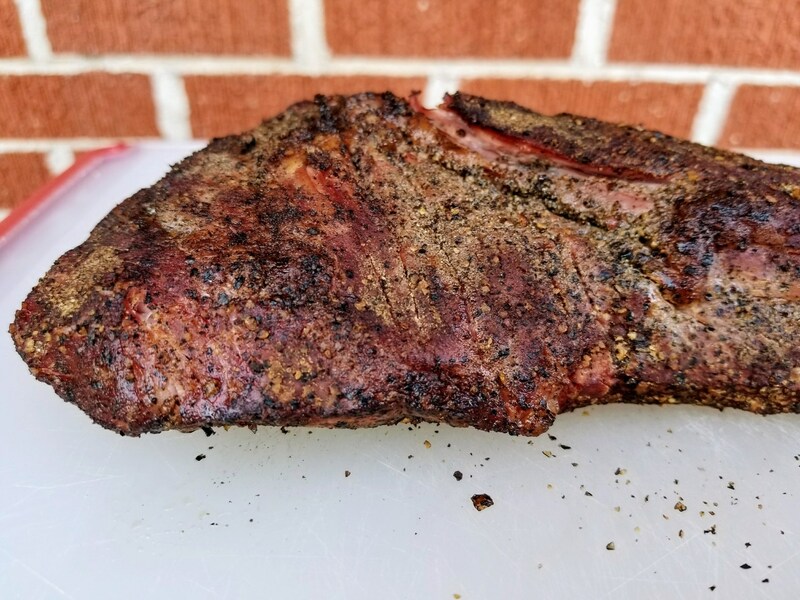 The end result was a super tender, smoky piece of meat which paired great with grilled veggie salad and grilled tomatillo salsa. 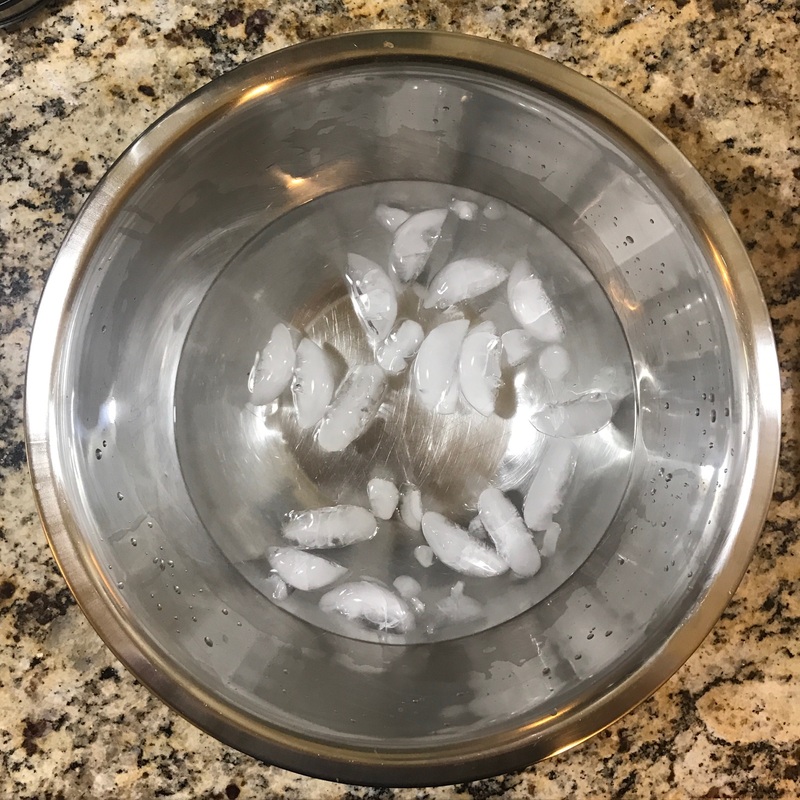 After 6 hours, prepare an ice bath. 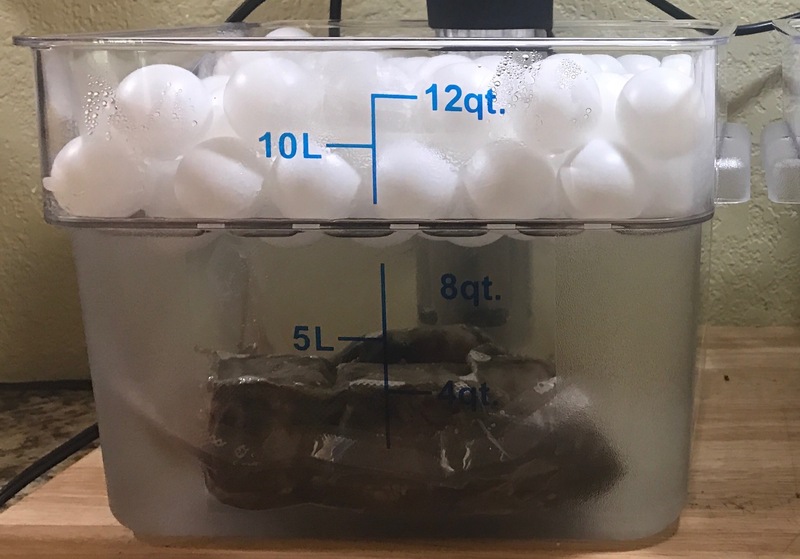 Submerge tri-tip into ice bath for 15 minutes. 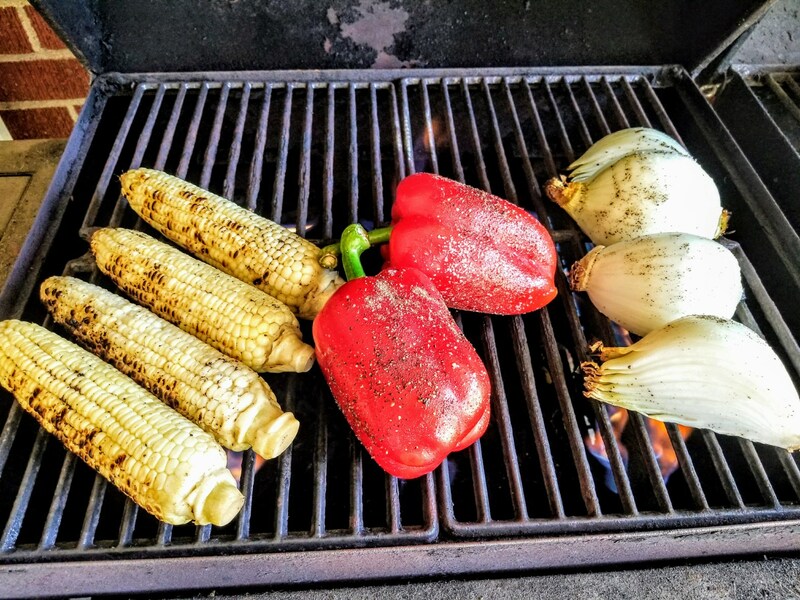 This will lower the internal temperature to ensure the smoking does not overcook it. 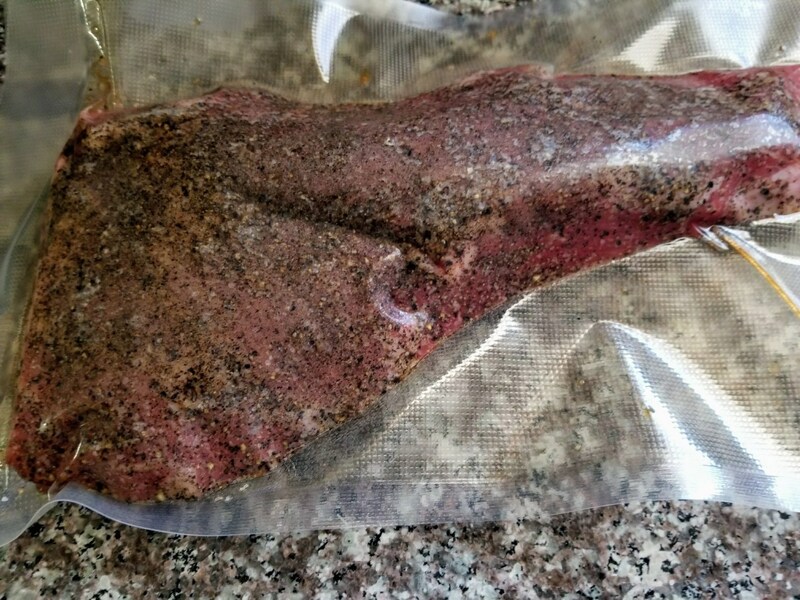 Remove tri-tip from ice bath and bag, and dry off. Add additional seasoning if required. 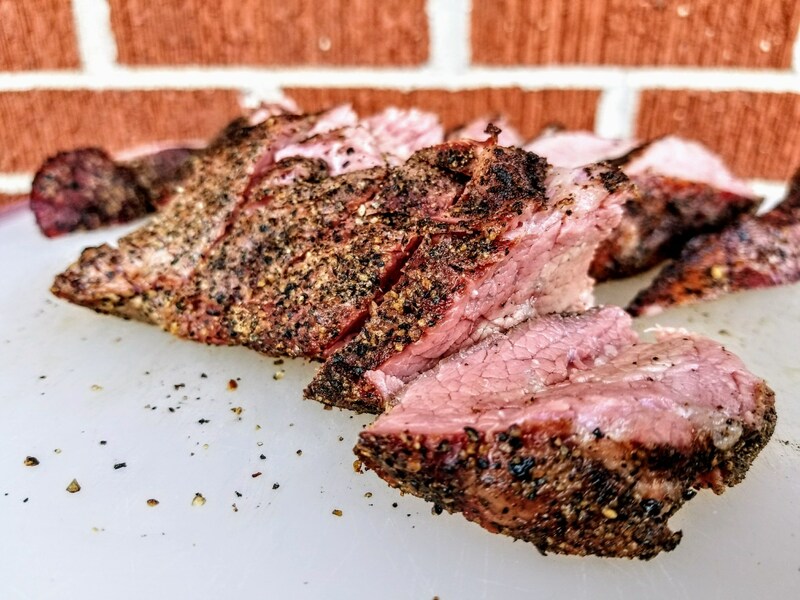 Smoke tri-tip for 1 hour between 225-275F. Remove, cover with foil, and rest for 15 minutes.